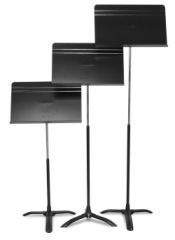 Brilliant orchestra and student music stand - Manhasset's No. 1 selling stand. Simple friction height adjustment mechanism means no knobs or screws. Available in a wide range of colours and in taller or shorter models. Complete with no-quibble 5 year manufacturer's guarantee. Large and Small Storage carts are also available to hold 24 or 12 stands. 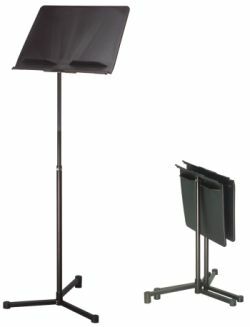 Superb concert stand, designed with double shelf for storage of bows, rosin, pencils, reeds, valve oils, etc. Dimensions are identical to Symphony stand above. 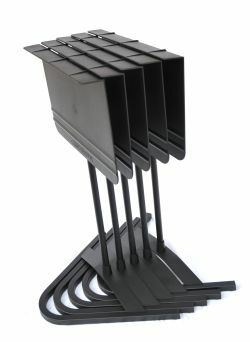 Incredible stacking stand from Manhasset featuring: a v-shaped base for unlimited stacking; virtually unbreakable ABS plastic desk, "Magic Finger Clutch" mechanism for easy height adjustment and amazing 10 year warranty. Store 25 stands in 1.8m or 50 stands in just 3m! 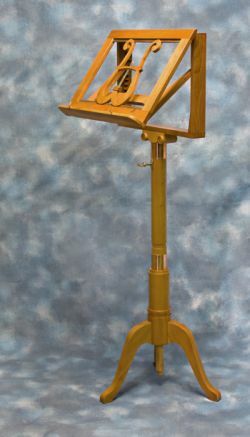 These uniquely-designed, hand-crafted Music Stands are individually made using a wide range of English hardwoods - Oak, Yew, Walnut, Cherry, Plum, Ash, Sycamore, Rosewood & Holly. The stands are fully functional offering height and desk adjustment. Traditional and modern designs, together with special commissions to suit client preferences. A stunningly beautiful gift for any Musician. Pricing available on request. Solo Stand in solid English Yew with a natural wax finish. 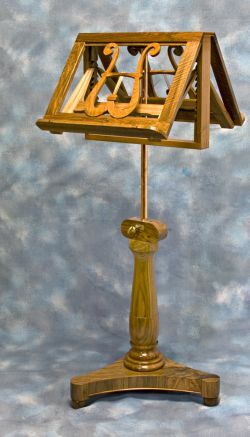 Duet Stand in solid English Walnut with a natural wax finish.